Plant design (process plant design, powerplant design, etc.) refers to the automation technologies, work practices and business rules supporting the design and engineering of process and power plants. Such plants can be built for chemical, petroleum, utility, shipbuilding, and other facilities. Plant design is used to designate a general market area by the many vendors offering technologies to support plant design work. The ‘process’ is an idea or concept that is developed to a certain level in order to determine the feasibility of the project. ‘Feasibility’ study is the name given to a small design project that is conducted to determine the scope and cost of implementing the project from concept to operation. To keep things simple, for example, design an imaginary coffee bottling plant to produce bottled coffee for distribution. 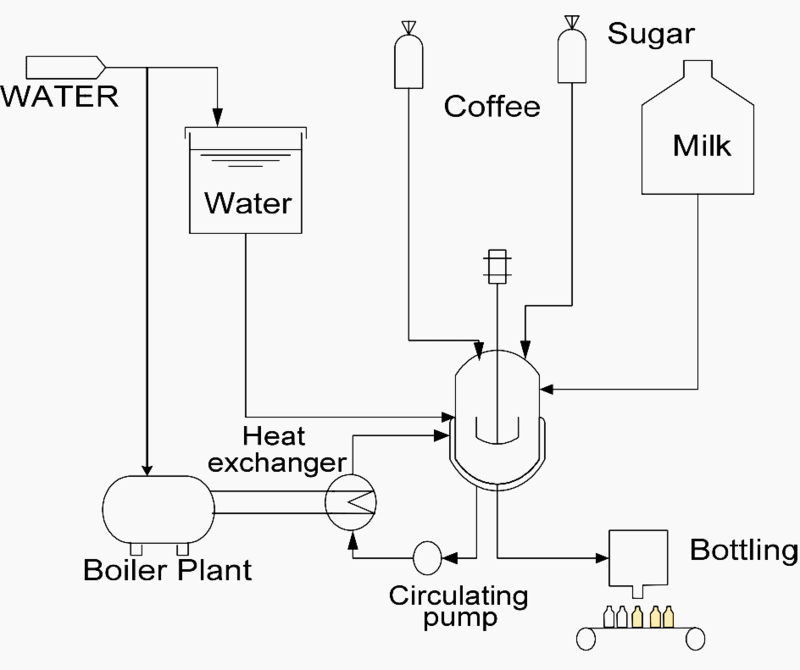 Start by creating a basic flow diagram that illustrates the objective for the proposed plant; this diagram is called a “Process Block Diagram”. The block diagram shown in Figure 2. 1 is where it all starts. It is here that the basic components are looked at and the basic requirements determined. This is a diagram of the concept, giving a very broad view of the process. The example below has all ingredients listed and shows that milk, sugar and black coffee make up different permutations of the final product. With this philosophy diagram complete, there is a need to determine the technical requirements. This is done by simultaneously developing two documents; the ‘Process Flow Diagram’ and the ‘Process Description Manual’. The PFD is where we start to define the process by adding equipment and the piping that joins the various items of equipment together. The idea behind the PFD is to show the entire process (the big picture) on as few drawing sheets as possible, as this document is used to develop the process plant and therefore the process engineer wants to see as much of the process as possible. This document is used to determine details like the tank sizes and pipe sizes. Those familiar with mimic panels and SCADA flow screens will notice that these resemble the PFD more than the piping and instrumentation diagram (P&ID) with the addition of the instruments, but not the instrument function. Mass balance: In its most simple form, what goes in must come out. The totals at the end of the process must equal the totals fed into the system. Gracias por la información, saludos desde Gautemala. 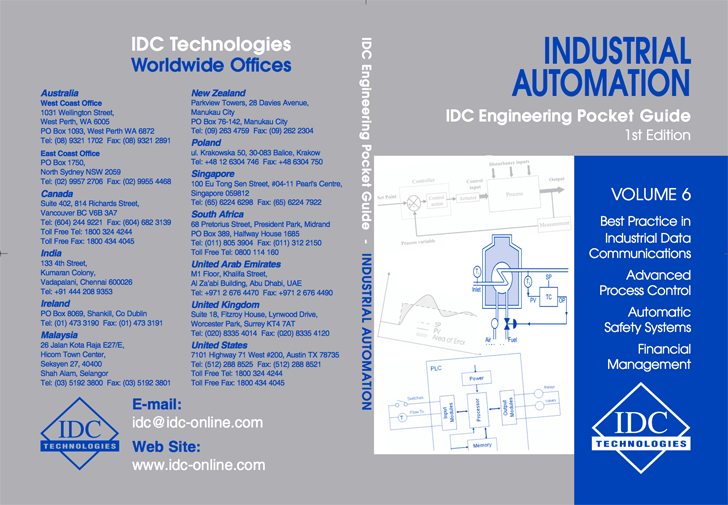 Very nice book for Automation Engineers and Technicians. 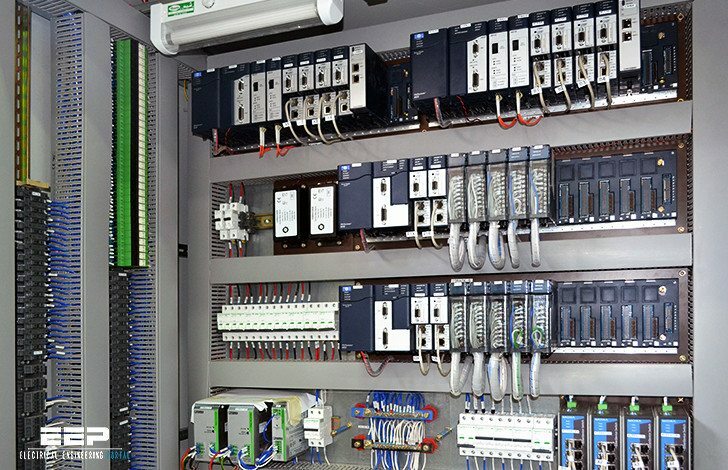 I would strongly recommend it for anyone interested in control and Automation Engineering. Thanks for sharing this material and for the great job you are doing towards promoting awareness and knowledge base in the field of Electrical Electronic Engineering. Thumbs Up!! !